Vast resources are left in the ground every year due to production loss, both onshore and offshore. A certain loss in production is inevitable, but experience shows that a large part of the non-productive time (NPT) can be avoided through better planning of maintenance and replacements, more preventative maintenance, and a deeper understanding of the well equipment reliability. WellMaster increases production by providing decision-support to limit unnecessary NPT. WellMaster enables engineers to make better decisions through understanding well equipment reliability, and predicting future equipment related issues. Information is available on all levels, from operator and asset down to single equipment, and provides valuable input to multiple parts of the organization. Increased production through lowering the NPT has a life-cycle approach, and WellMaster provides input in all stages. 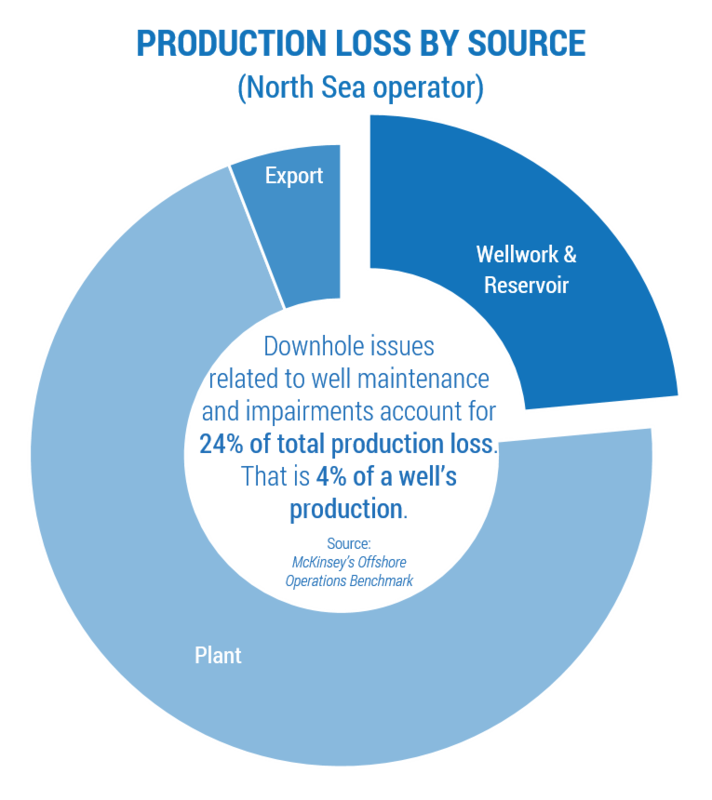 Implementing WellMaster within the organization can lead to increased production through significant reduction in well-related NPT.